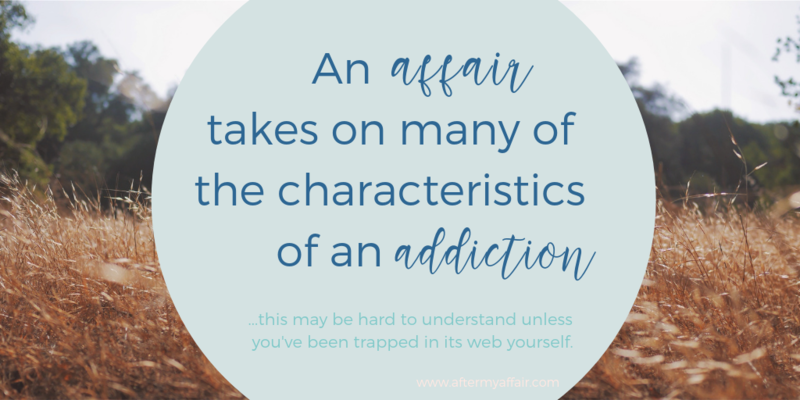 Knowing the stages of an affair can help you understand yourself and how you got entangled in the affair, if you’re the wayward spouse. hoping their spouse is in the later stage. Either way, are you hurting and scared? that either you, or your spouse, were involved in. Either way, you’re looking for answers to show you a way out of all the pain. I understand the pain an affair can bring because I’ve been there myself. 4 stages of an affair even matter? Whether you are the wife who was unfaithful, or the betrayed husband, learning about the normal four stages of an affair will help in the healing process. You’ll recognize the signs and be able to navigate out of it easier. Sometimes little compromises in a marriage has also been called “microcheating”, but it’s really the same thing it’s always been. Making little compromises that you’ve justified more and more until the final compromise into the affair is possible. they were capable of cheating either. Why? It’s the little things we allow ourselves, that we’d never have allowed ourselves to do before. If you want to know more about compromises, or what mircocheating is, read this post where I go into more details. They begin to meet at secret locations, they feel alive and thrilled that another person finds them desirable and wanted. The secrecy of the new affair fuels the intensity of emotions, and the passion is usually intense. They know what they’re doing is wrong, and often try to push aside their guilty feelings because the high from this forbidden fruit is something they’re not willing to give up. These are the little compromises, still at work, to take the married spouse further from their devotion to their spouse, and attaching their affections more to their affair partner. But high dopamine levels can also cause anxiety and interfere with our ability to concentrate and control our own thinking, which is what often happens in this beginning stage of an affair. The flux of these highs and lows, mixed in with whatever needs they think this person is filling, can mistakenly convince them they’ve found their ‘soul mate’. Stage two progresses further and further into secrecy and lies, creating a separate world for the affair partners. This is the when trying to keep all the lies straight starts to get exhausting. The unfaithful spouse often worries about being caught. The married person pulls further and further away emotionally from their spouse at home. That spouse may recognize this, but dismiss its importance or reason. The ‘affair fog’ grows as they think the affair partner is meeting all their needs. Affair partners usually overlook obvious flaws and negative qualities about each other. This stage of the affair, where they are feeling “in-love”, usually lasts between 6 -18 months. Yet, sometimes as long as 3 years, according to Denise Bartell, PhD, a psychologist at the University of Wisconsin, Green Bay. “But the relationship and excitement of the affair eventually slow down, usually within 6-24 months”. At this point (stage 3) the unfaithful spouse has carried on the affair for a period of time. As the affair continues, it feeds the beast of the dopamine release ‘high’. They are usually unaware of the biological response which is tricking them into thinking it’s “love”. The affair soon resembles all the same characteristics of addiction. (Their life has become unmanageable trying to juggle all the secrets and lies. They have an inability to stop easily on their own no matter how hard they try. Their feelings of withdrawal are real when not with the affair partner. The ‘withdrawal’ they feel is because of a lack of dopamine ‘high’ they had while with their affair partner). The betrayed spouse is often shocked at how difficult it is for the wayward spouse to choose between them or the affair partner. It really comes down to a state of mind they’ve acquired many call Affair Fog. If the unfaithful spouse continues in their affair, it will only do greater damage to the betrayed spouses trust. This only delays the recovery of the marriage. they can often break free of the affair. about staying in affair, or in the marriage. Once the unfaithful spouse begins to come out of their affair fog, and see the affair for what it really was, they have a better chance of healing and for the restoration for their marriage. Affairs always end. Some drag on longer than others due to the level of the delusion they are in. Eventually though, the affair will start to crumble, since it was based on a foundation of lies and secrets. Less then 10% of affair partners will eventually marry, and when they do approximately 85-95% of those marriages end in divorce. Because what was the foundation of their relationship really? Lies, secrecy, cheating and deception. Is that the best way to start a relationship? When surveyed, most people in affairs stated they most likely would NOT have chosen their affair partner to marry. If you haven’t already, be sure to get my exclusive FREE 14-page magazine “Breaking Free” written just for you as the unfaithful woman. It’s easy to read but filled with tons of great information about ending an affair, a checklist, a sample break up letter and so much more. Sticking with your commitment to end the affair, even through the withdrawal, that you’ll likely feel upon breaking off the affair. Also, if you’re the betrayed husband, be sure to read our posts just for you here. I love that saying “feelings will eventually follow our decisions” because it’s so true. Sometimes we have to take the steps of commitment to our spouse again, even if our feelings have waned. Want to know more details about what you can specifically both do to restore your marriage? Get my e-book “19 ways you can begin to restore your marriage after an affair” I list all the things we both did that helped our marriage survive. The first is the stage of little compromises and playing with fire. Each little compromise we make, justifying behaviors we wouldn’t have done before. These compromises inches that spouse closer and closer to having an affair. The second stage was the secrecy stage of crossing the line into an affair. “Affair fog” is strong now, with the release of dopamine that fuels the fire for the affair to continue. Feel free to contact me and tell me where you see yourself today within these stages, or what steps you recognize need to be taken to heal after infidelity has hit your marriage. I’d love to hear from you and pray for you. God does see you and loves you more than you can understand right now. Whatever happens to your marriage, know that he wants redemption first of all for you.